Protects far more dry tropical forest than any other reserve on Earth. 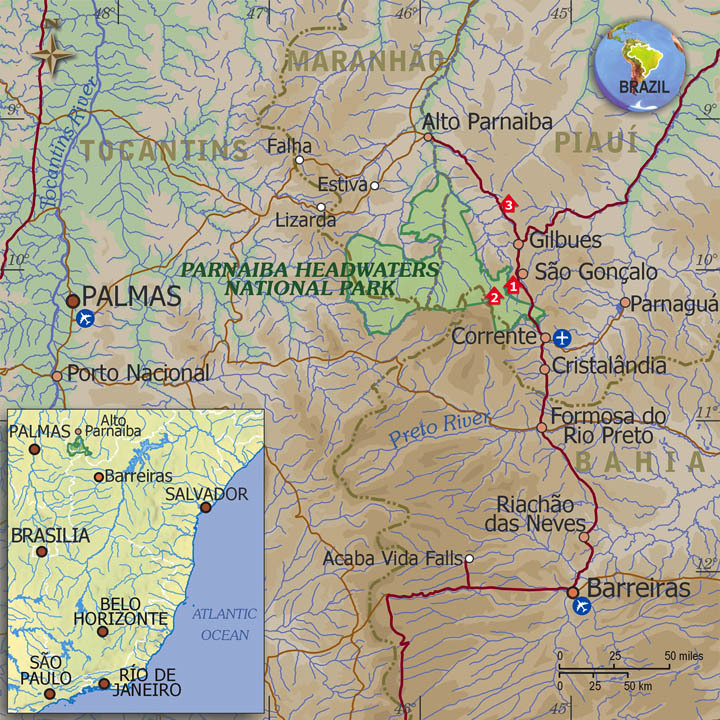 Parnaíba Headwaters National Park, Brazil. Map: Wolf Camp. Maned Wolf & Hyacinth Macaw Photo Tour.